Knox Patents: Kulaga Law Office, PLLC, has full-time patent attorneys available to assist our clients. We also have other attorneys that we rely upon for special needs. Whether you need a patent, a trademark, a copyright, or intellectual property legal advice, Knox Patents has someone that can help. 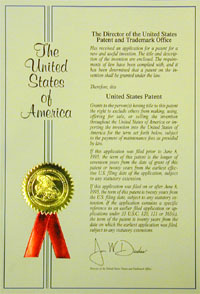 Thomas A. Kulaga is a patent attorney who provides legal advice in all areas of intellectual property law. Tom is an electrical engineer who worked as a constructin and start-up engineer before becoming a patent lawyer. Please read his Patent Attorney Profile to learn more about Tom Kulaga.